K & P Construction provides project management services with our signature personalized service. Our comprehensive approach tackles each phase of the project with an eye toward maintaining quality, containing costs, schedule management and project completion. Commercial construction requires expert handling, and our company has provided quality project management services to Houston clients for decades. After experiencing rapid growth in the demand for commercial construction services in Houston and Nationwide, our company incorporated these original values of personal service into our project management protocols. As our company grew rapidly, we decided to continue this policy while scaling up to meet the capacity requirements of our largest clients. This unique combination assures all of our customers that their interests will be reflected in the final result. Whether your contracting needs are geared towards the requirements of a small office or a large facility, we can scale our project management methodology to effectively match your situation. We manage each phase with the client’s ultimate goal clearly in mind. Our expert project management professionals are well-versed in the industry standards for delivering quality results in a safe and timely fashion. Our leadership methods in project management have a solid track record of success. We understand that the project management process has to start as early as possible in order to prevent hidden costs from accumulating. Over the course of time, our expert project managers have refined this preventative approach in order to give our newest clients the benefits of our accumulated expertise, knowledge and foresight. Our team of experienced professionals can manage large-scale commercial projects, but we still work with small businesses and private property owners as well. We manage every detail of your renovation, remodeling or construction plan. Safety during commercial construction adds incalculable value to the long-term goals of any project. We manage every aspect of the work with safety in mind, and our cost controls are built into each stage. Our scheduling is tightly monitored to increase value while detecting and eliminating redundancies. Safety standards are continually being evaluated and upgraded. 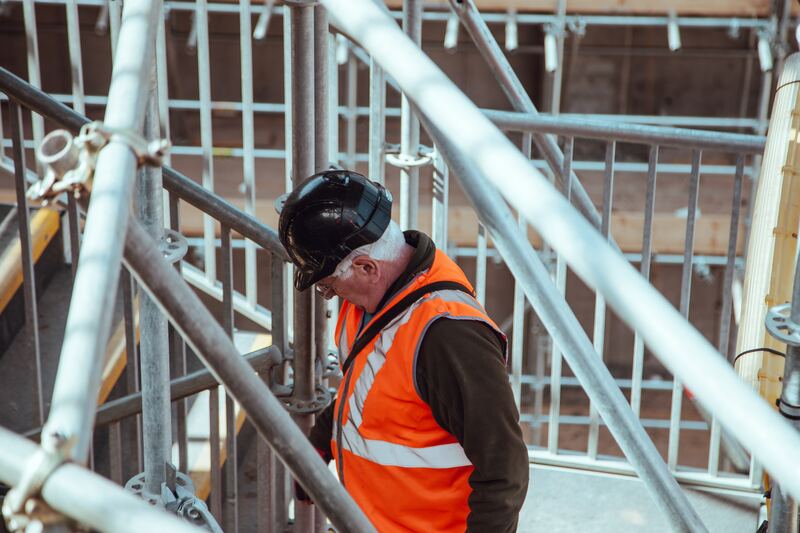 This approach to safety developed from decades of experience, and it still influences every aspect of our management style today. Our company proudly offers Houston property owners, managers and developers the very best opportunity to design, plan and execute your construction project in the most effective manner possible. We work with a variety of corporate, small business, commercial, medical and municipal clients. Realizing your commercial construction project is our business, and you can find more information by contacting one of our knowledgeable representatives today. Our team would love to chat with you about your project goals. Even though the construction business is fast-paced, our company still adheres to our original values of building quality relationships, and we encourage you to experience the difference a simple conversation can make. The relationships we have built with our customers are our strongest foundation. K&P continually broadens the scope with new types of construction, working to always improve systems, safety, and quality.